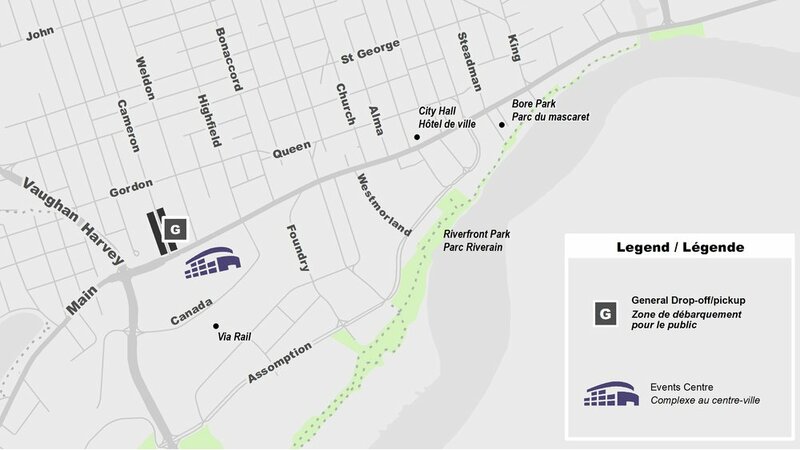 There is a designated drop off area for patrons along Cameron Street near Main Street – just one block away from the Events Centre. Drop off and pick up will be easiest and most convenient along this route. Happy to see that you’re planning ahead! Make sure to give yourself enough time to get to the Centre and get settled into your seat before the event starts.